*Ranking of amount of traffic referred to a client website from 3rd party sources. 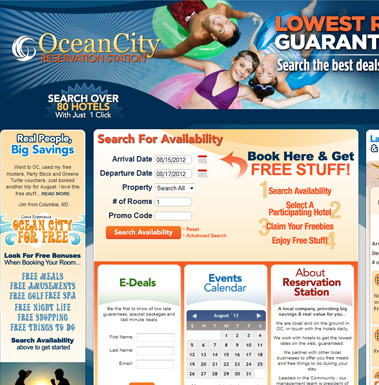 The Ocean City Network consistently is the largest referral source. Want your share of the traffic? 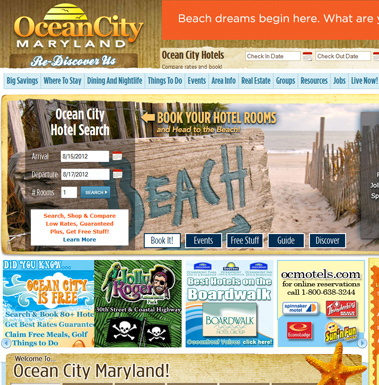 The Ocean City Network is a group of websites and marketing tools operated by D3Corp in Ocean City, Maryland. With a staff of 30 full time professionals, we work daily to provide new websites, email campaigns, social marketing tools and mobile apps that drive traffic and revenues to our clients. 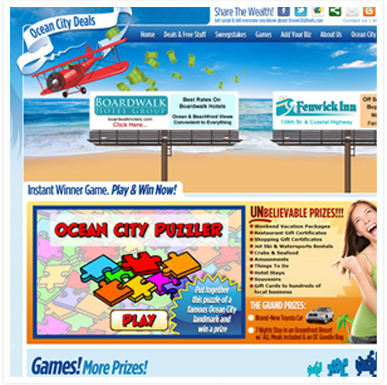 Working with Ocean City Network has been an outstanding experience. We have been impressed with the level of professionalism and attention to detail, not to mention that the ROI proved to us that we had made the right choice.